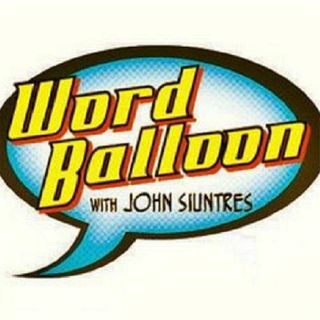 On this episode of Word Balloon, Dave Gibbons is back to talk about The Secret Service, his new Icon mini series with Mark Millar. Of course this being the debut week of the Before Watchemn prequels, we ask Dave to comment on the ongoing debate over whether these projects should happen or not. We also talk about bwhere creator owned projects are in the post Watchemen era, and get an idea of some of Gibbons future digital plans. Greg Rucka finishes the latest Rucka Debrief, with talks about The ... Maggiori informazioni Punisher, his steampunk swahsbickling web comic Lady Sabre and the Pirates Of The Ineffable Aether with artist Rich Burchett , plus more classic detective debate about the many film and tv versions of Sherlock Holmes and Philip Marlowe. Finaly we take you inside a recent Marvel telephone press conference featuring Christos Gage and Neal Adams talking about their First X-Men mini series debuting this August. Adams and Gage field questions about this continuity implant that tells the earliest tales of Charles Xavier's attempt to save Mutants in the years before founding his school for the gifted. The creators taklk about their takes on Magneto Wolverine Sabretooth, and several new charcters created for the series.